Bob Dylan’s list of pseudonyms is long. His never-ending tour is longer. 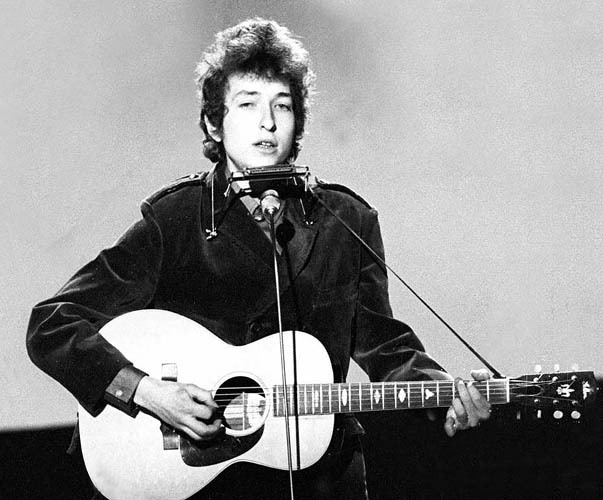 Tonight I will be seeing Mr. Robert Zimmerman, a.k.a. Bob Dylan, a.k.a Zimbo, a.k.a Bobby The Hobo, a.k.a Luxury/Boo Wilbury, at Binghamton’s Event Center. And, whatever name he chooses for the performance will be just fine with me. Seriously, I would not mind a Traveling Wilbury reunion tonight. Roy Orbison can come back from the dead for an amazing reborn performance. The never-ending tour is just that. Bob Dylan has performed around 100 shows a year since 1988. That is 22 years folks. I am 21. Maybe there should be another name addition for Dylan. The Machine. That is what he has become. I saw the tambourine man a few years ago at Nassau Coliseum. The show was an interesting experience. It was not what I expected. Dylan transformed his well-known pieces into unrecognizable tracks. I looked at the set-list after the show and seriously questioned whether I heard some of the songs on it. But, after reviewing the concert over in my head I realized something. This is Bob Dylan. He is a cryptic trend-setter. The man changed rock n’roll and didn’t care what you thought. That’s why we love him right? From social activism to electric to country to swing to gospel, who cares. Bob Dylan effortlessly amalgamates genres and creates a bubbling cauldron mixture of excellent music and lyrics. So, for those going tonight, take a spoon. The soup may taste weird, but, this is Bob Dylan we are talking about. If it didn’t taste odd, something would be wrong.